As the Phillies are road tripping in Atlanta (#sweepvictory, baby!) and head on to St. Louis tomorrow night with a game time of 8:15pm, the front office is in full prep mode for this upcoming weekend as the first official day of summer, Saturday, June 21, and the glorious time of year when school ends and summer vacation begins is officially upon us. Feels good, right? 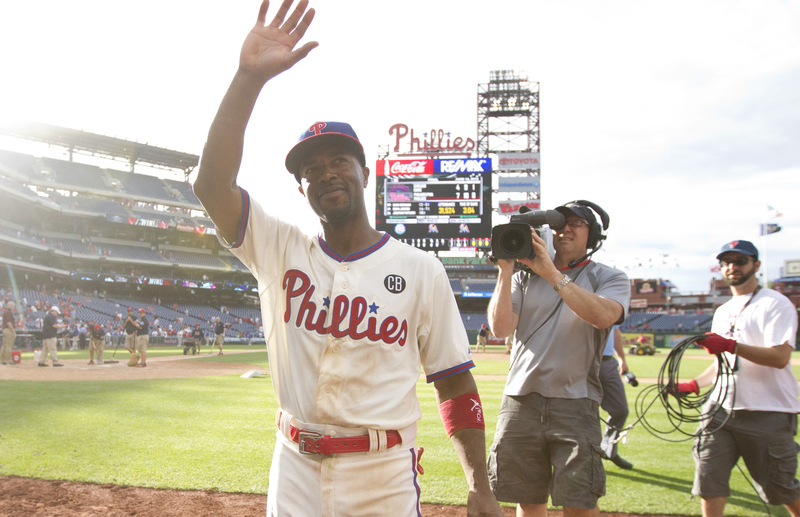 The Boys of Summer return to Philly next week for a seven-day, eight-game homestand which includes a double-header, XFINITY fireworks, Apple Vacations Photo Day, a Jimmy Rollins celebration and tribute for his achievement as the All-Time Phillies Hits Leader as well as other great promotions and theme nights. Check out all that’s in store here. One of the things everyone is looking forward to is Jimmy’s tribute night on Monday, June 23. 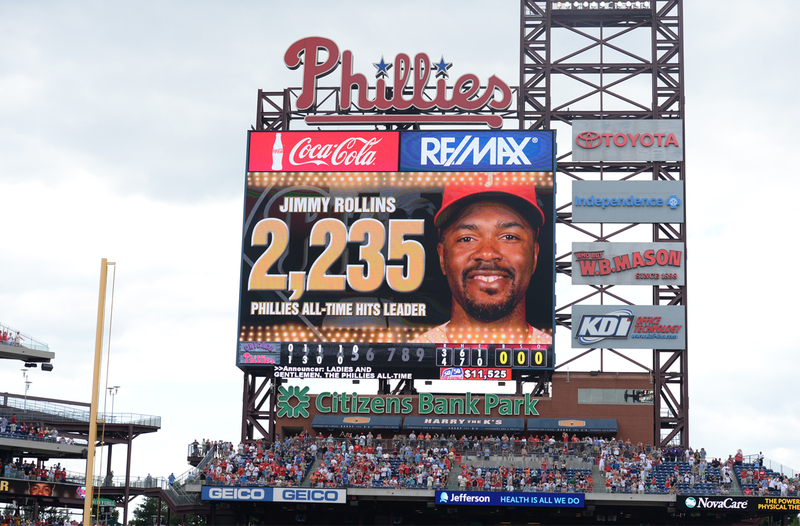 All fans will receive a print commemorating the historic event which took place on Saturday, June 14 when Jimmy broke Mike Schmidt’s All-Time Hits record after reaching 2,235 hits. It’s a pretty spectacular feat on its own. 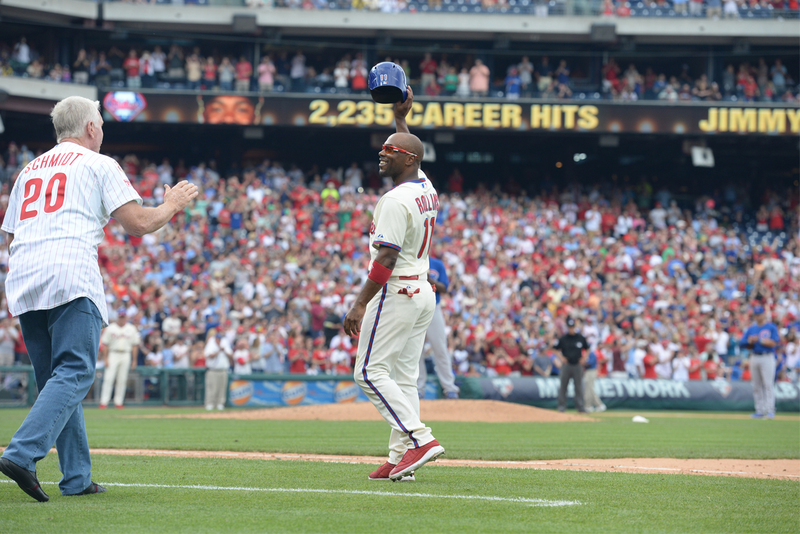 When Michael Jack Schmidt walked to first base to congratulate him, well that made the day even more special. There are surprises and special guests in store for this upcoming Monday, an event you don’t want to miss as we celebrate history made once again at Citizens Bank Park! 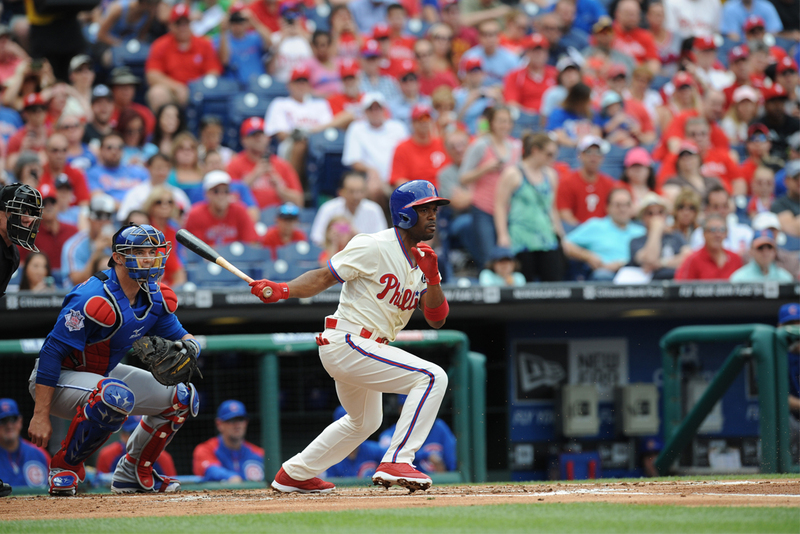 The Phillies traveled back in time this past homestand to the swinging ’60s. 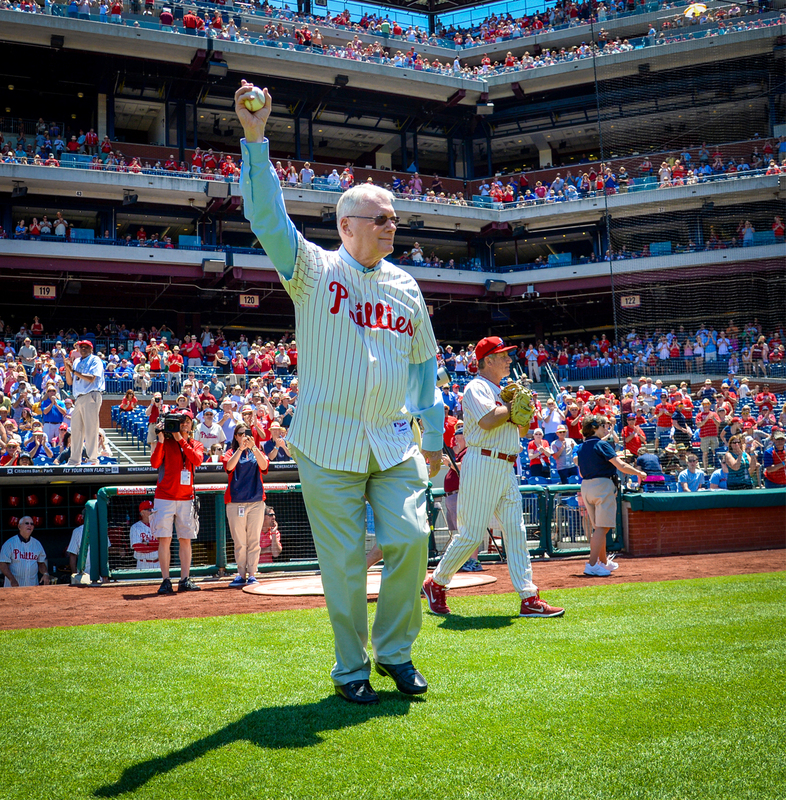 Part of the weekend was a celebration of Jim Bunning’s perfect game, which happened 50 years ago on Father’s Day. Mr. Bunning participated in #perfectchat on Twitter which was pretty cool as well as threw out the first pitch while close to 40 members of his immediate family looked on. We wanted to take a moment to remember Mr. Padre, Hall of Famer Tony Gwynn Sr., who passed away earlier this week. Our thoughts and prayers are with Tony Gwynn Jr. and the entire Gwynn family during this difficult time. Tony Jr. took to Twitter following his father’s passing and shared an emotional message regarding the impact his dad had on his life. Until next time, enjoy the day and stay cool. In our beautiful nation, we have the right to vote for those we want to represent us – we’re not talking politics here, we’re talking All-Star Game! It’s the mid-summer classic event that brings the best of the best, the creme de la creme, the peak of freshness…well, the All-Stars of Major League Baseball together to compete for glory and home field advantage for the World Series. 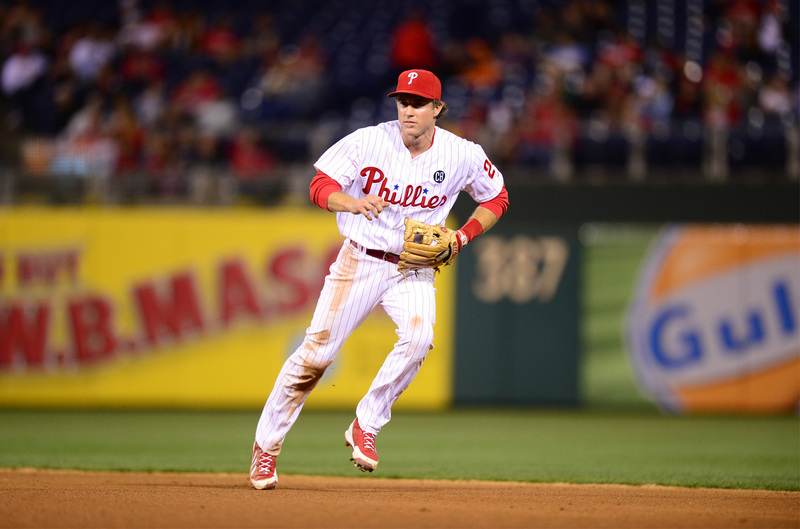 Chase Utley – You are the man. Which brings us to a very important second baseman. He needs you. Right now he’s leading all National League 2B with a ton of votes. (So, good work so far to those voting!). But let’s keep a good thing going shall we? Head to get your online voting on here. Last time an update for vote tallies came out, Chase was approaching a million – let’s get him there! 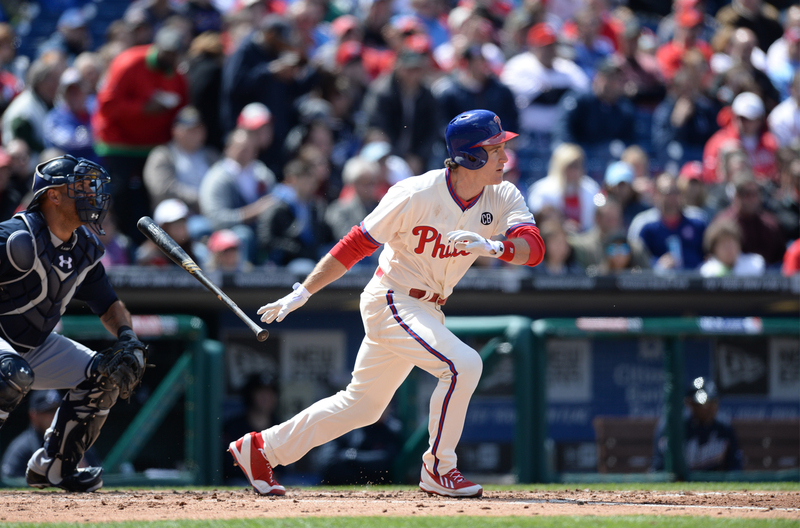 And while you’re at it, feel free to vote for some other Phillies too. Speaking of All-Stars…Every person can think back on their school days and remember that one teacher who made an impact on their life then and now. If you’re lucky, a few amazing educators may come to mind. We’re asking Phillies fans to choose from three amazing, inspiring and awesome teachers from the Delaware Valley to represent our club at this year’s All-Star Game on July 15th in Minnesota. They were selected from thousands of nominations and are each incredible – so it’s going to be really tough to choose. But we know you can do it, Phillies fans. Head over to AllStarTeachers.com, read their stories and then make your selection. It’s quick, easy and important – so do it today! As we’re in the middle of the MLB First-Year Draft, here’s a nice #TBT from JP Crawford…last year’s pick! 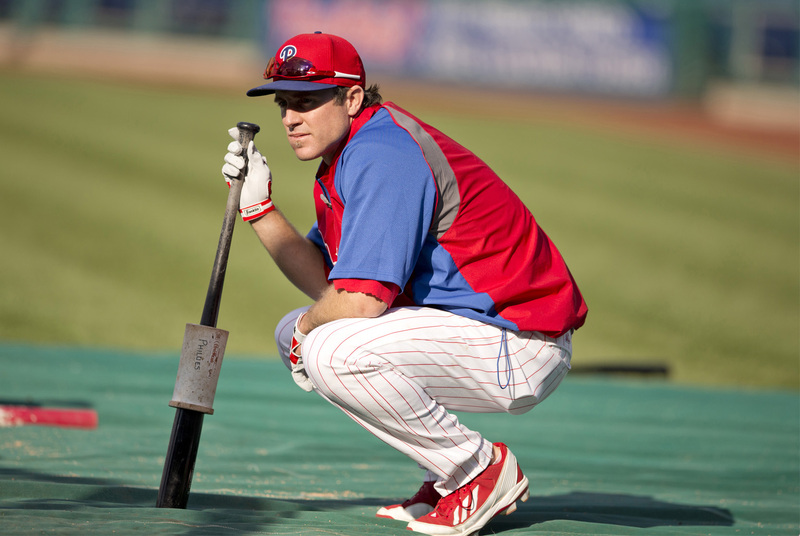 That’s all for now…have a great weekend and watch some Phils baseball as they head to the Midwest to take on the Reds! Home of Homestand Info & All Things Phillies from the Philadelphia Phillies Communications Department.